One of the very few pictures that I have of a Western Region DMU in the rather drab all over blue livery that was applied during the late 1960s and early 1970s, after the green livery that the units were delivered in and before the ubiquitous blue and grey livery. 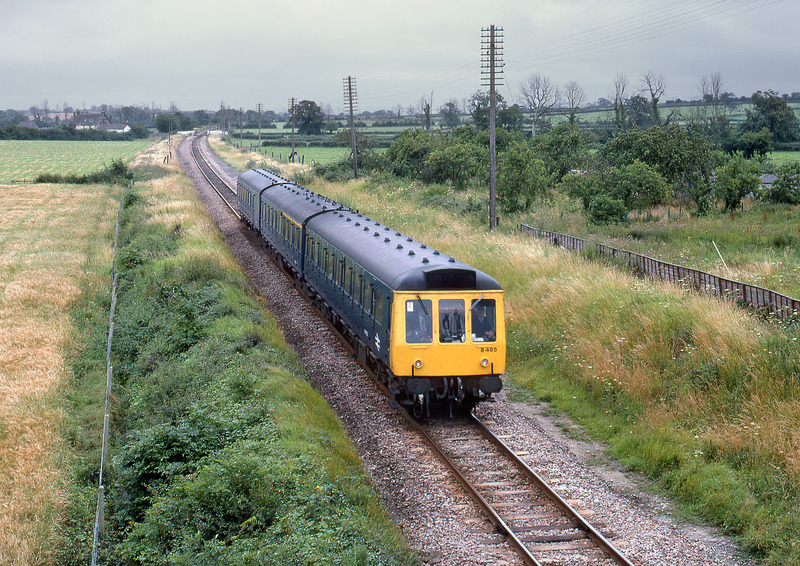 B465 (51322, 59474 & 51307) approaches Purton on 4 August 1980 with the 15:00 Swindon to Cheltenham service. Collins Lane level crossing can be seen in the distance in a view that has changed considerably in subsequent years. The steam age telegraph poles have long gone and the inevitable growth of lineside trees and bushes has completely transformed this view.